Happy Sunday, hope you ladies had a great weekend! Ours went by way too quickly, and I’m sad it’s over! We ventured into the city, explored some new neighborhoods, and stuffed ourselves full of (way too much) amazing food & wine! 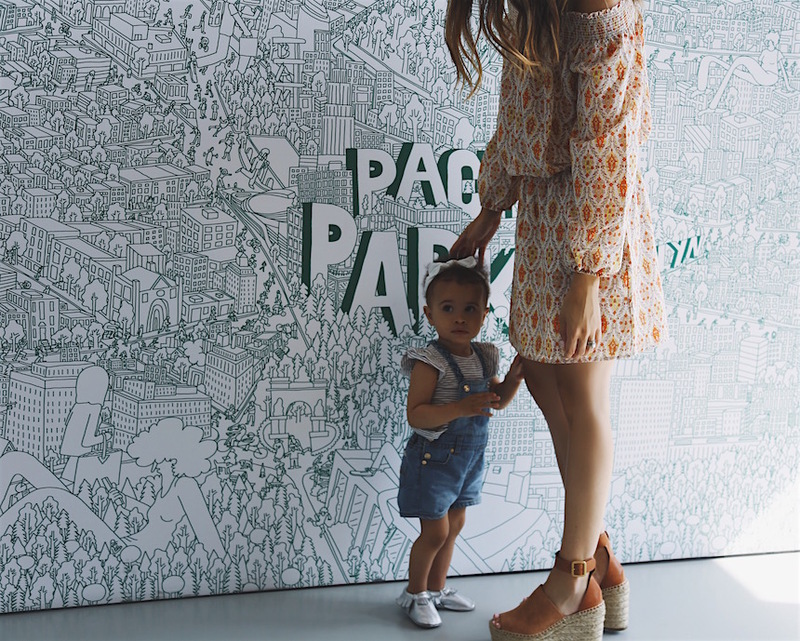 Whenever we go to the city, we ask ourselves…should we move back? We love the energy of the city, the restaurants (we head to the city pretty much every date night), and the cultures and different neighborhoods. We’ve talked about this a lot lately…maybe moving back or possibly getting a (very small) place in the city & going back and forth between the suburbs and the city. While I feel like we’re far from making a final decision, it’s something we’re always open to, and we love looking at potential properties. 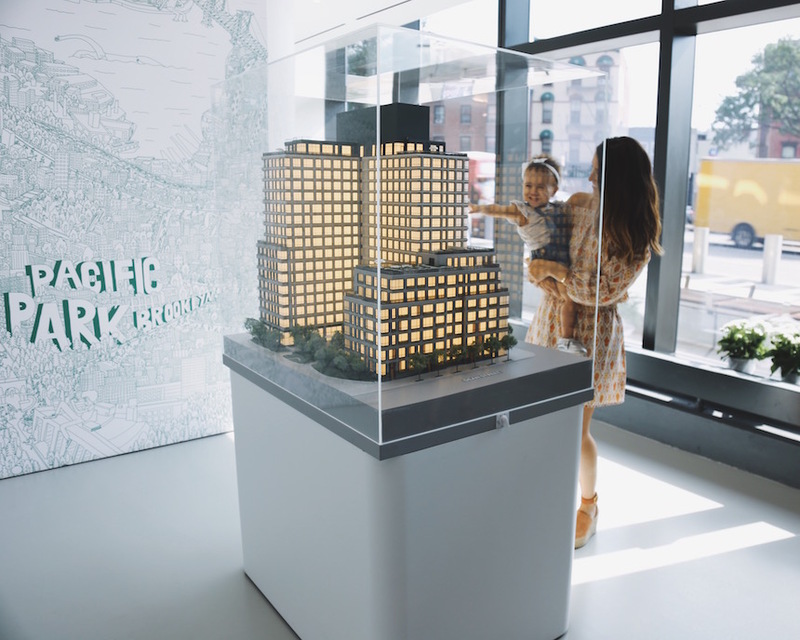 So, when we were asked to come check out Greenland Forest City Partners’ new development 550 Vanderbilt in Brooklyn, we jumped at the opportunity! 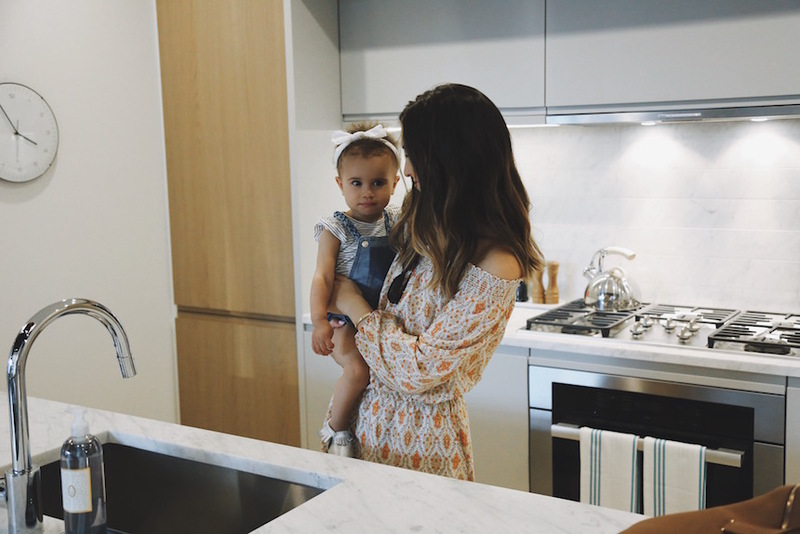 The units are still being built, so we went to the sales gallery to check out the floor plans & finishes. The open kitchen in these units is definitely going to be the best part! It’s something that’s difficult to find in NYC spaces, and I was in love with the modern finishes. I could definitely cook here ;). Our first apartment in New York had a tiny galley kitchen, so this was the highlight of the space for me! I love the waterfall island! There will be 278 residences – a mix of studios to four-bedrooms including duplexes, maisonettes with private entrances (yes please!) and penthouses (in my dreams ha!). 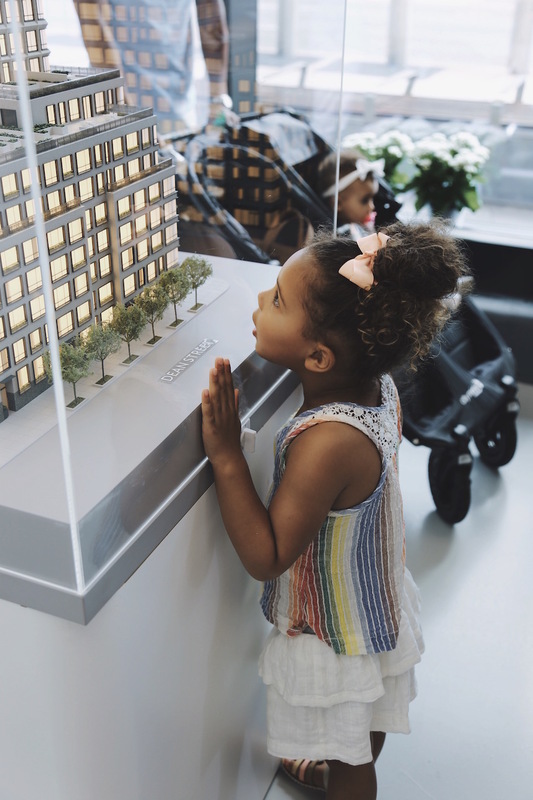 One of my favorite parts (and a “must” in my opinion) of living in the city was having a beautiful outdoor space in the middle of the concrete jungle, and 550 Vanderbilt will have a rooftop terrace – perfect for summer nights with friends or family BBQs! 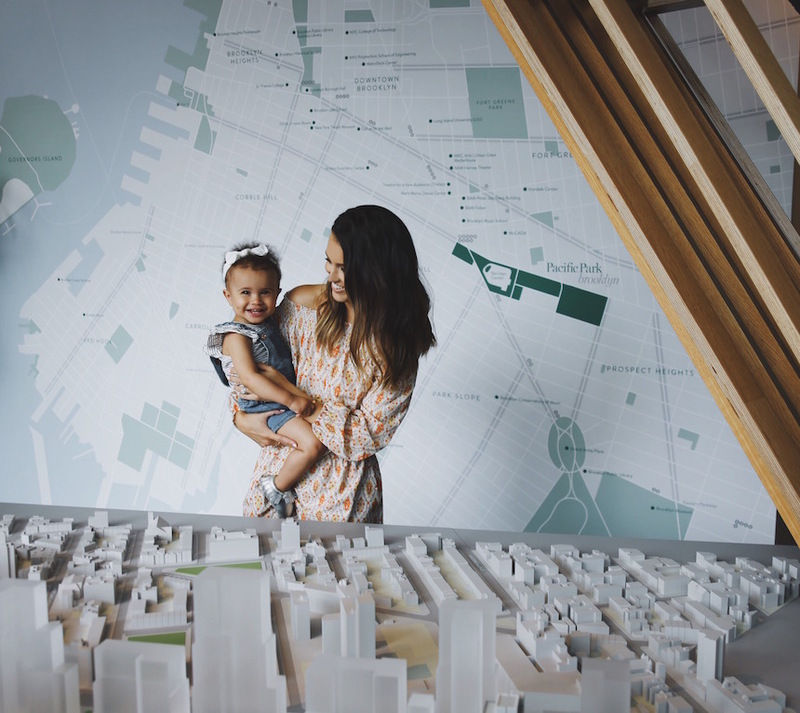 Possibly the best feature is the 8-acre brand new Pacific Park that the building actually sits within…so amazing, I can’t wait to see how beautiful it is! Obviously living near a park in the city is difficult, let alone in the middle of one! The building is literally steps from Barclays Center, tons of restaurants & shopping, a grocery store, and the subway – honestly the most convenient neighborhood I’ve been to in New York. 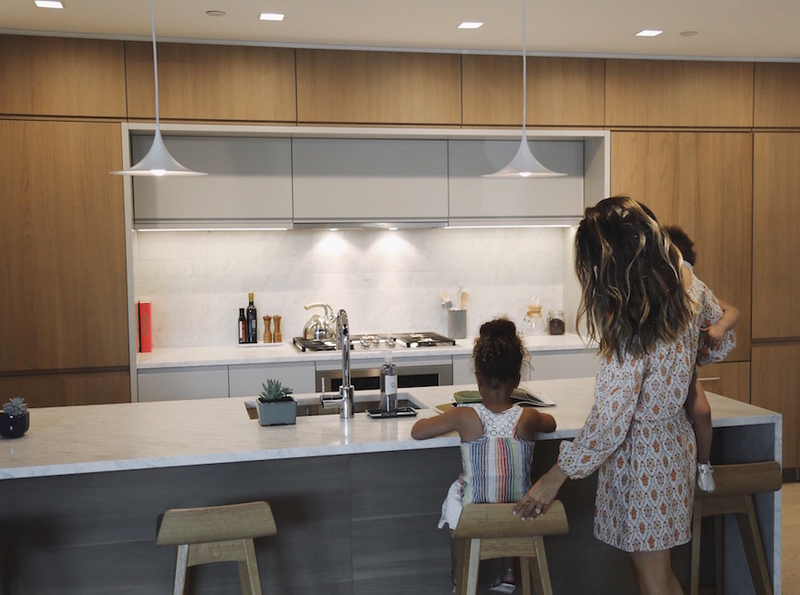 I loved getting a taste of Brooklyn living (learn more about 550 Vanderbilt here)…what do you think? Would you live in the city or the burbs?